Whomp whomp. There're no Hulks for sale. For years, Bruce Banner fought against his other self, hoping to repress or destroy the Hulk. Now, they work in concert - Banner using his brilliance and the Hulk applying his raging strength when intelligence fails. 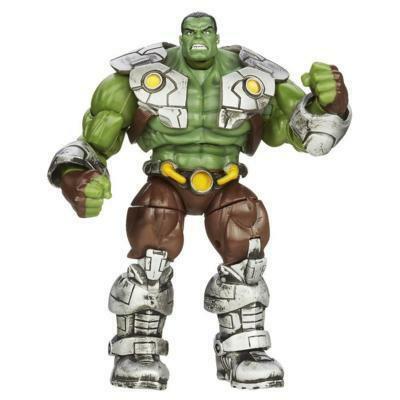 Not a huge fan of 3.75" usually but this hulk is pretty decent due to his larger size. I find the joints and articulation to more often than not be poor at this level but his work out pretty well. The fact that the armor is removable is a nice touch.